The WMS Visual SACA was pioneer in introducing the "pick to box" procedure for the picking jobs. This procedure is the best solution, in terms of efficiency and profitability, for picking areas with SKUs of medium and low turnover, because it allows for simultaneous picking of several orders without further jobs. When a picking cycle begins, the operator selects orders and assigns each one to a collection box or drawer. At the same time that the WMS instruct him to pick the goods, it also shows him into which box or drawer deposit it, allowing him to finish the picking wave with all the goods already placed in the shipping boxes or in plastic drawers devoted each one to an order. This way of working remarkably decreases paths between the different SKUs picking places regarding to the ones gotten picking SKUs order by order, thus increasing greatly the productivity of the warehouse operation with an moderate investment. A solution that can complement the pick to box is the use of picking trolleys equipped with pick to light. 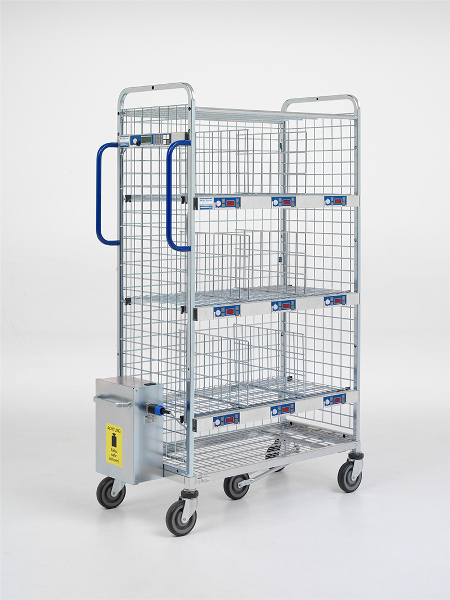 We can offer both the design and manufacture of such trolleys, as well as the electronic devices needed to transform existing picking trolleys and all software and communications infrastructure needed for its operation. In those picking trolleys the pick to light displays are usually arranged in rows placed in the front of the trolley's trays. Under each order drawer a pick to light display is placed, and all of them are linked by means of a RS485 multidrop bus to a hub / standards converter, connected to the WMS modules via Ethernet with TCP / IP through a WiFi client. 12V Power is supplied using an stabilizer and a battery system. In the normal working of these systems, the WMA controls the SKu to be picked and distributed into the different shipping boxes. When a delivery cycle begins, the system assigns a customer order or a customer shipping address lot of orders to each box or drawer in the trolley. 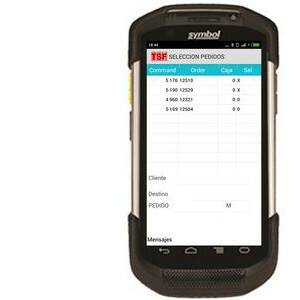 The system shows the operator the SKU to collect and bin location using a main display. 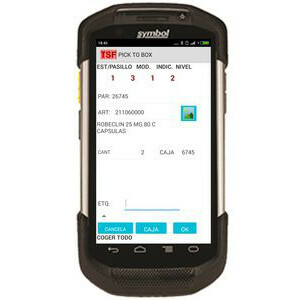 Then the operator picks the SKU, read the bar code on the product or on the bin read with a scanner connected to the trolley and the system displays in the right pick to light displays the quantities to be placed in each box or drawer. The operator press the confirmation keys of each display as soon as he is placing the items inside the boxes, the displays will switch off teh information and store the quantities already picked to be later on collected by the WMS pooling routine. In case of discrepancies between the quantities to be picked and the really ones picked, the operator will increase or decrease before confirming the quantities by means of the +/- keys of the pick to light display.